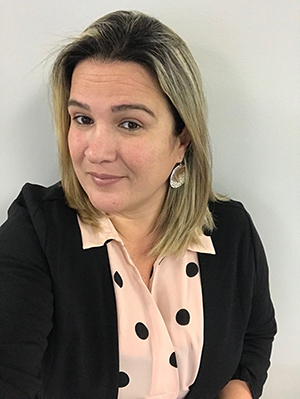 Intercard has expanded its customer service team with the addition of Isabelle Sherrillo. She will provide concierge service, overseeing customer service requests to ensure that they are handled timely and to the customer's satisfaction, as well as help customers prepare for their Intercard installations and follow up afterwards. A native of Fortaleza in north-eastern Brazil, Sherrillo speaks English, Portuguese and Spanish. She moved to St. Louis, US, to earn a master's degree in information technology management at Webster University. She received her undergraduate degree in business administration and an MBA in marketing from the Universidade de Fortaleza. Now, with an expertise in customer service and the resolution of complex service issues, she comes to Intercard from US Bank in St. Louis, where she was a relationship manager in the mortgage department. Prior to that she worked on the customer operations team at Mastercard in O'Fallon, Missouri. Sherrillo is an avid volleyball player and participates in several tournaments a year. "Isabelle Sherrillo has helped several leading companies to successfully manage customer relationships and deliver great customer service," said Scott Sherrod, CEO of Intercard. "As Intercard grows its business around the world, Isabelle will work one-on-one with existing and new customers to enhance our industry-leading customer service."